'So you think you know about Dinosaurs' is a brand new family show for 2017. Heading to the Tyne Theatre & Opera House in Newcastle at 2pm on Monday 20th February 2017 (half term for most), it's your chance to find out all you ever wanted to know about dinosaurs.......and more. 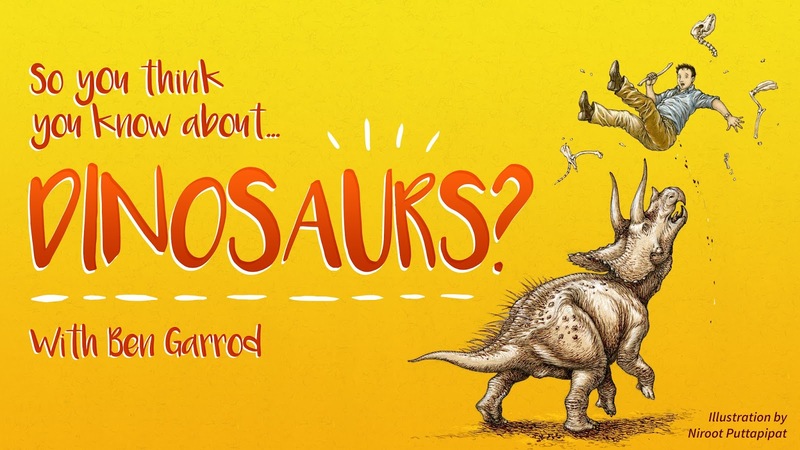 Come along and test your dinosaur knowledge with none other than Ben Garrod (the TV scientist in 'Attenborough and the Giant Dinosaur'). With the help of TV footage and photographs from his own dinosaur digs, Ben will share lots of Dinosaur facts. That's not all though - this show is fully interactive and there will be an assistant in the audience who will allow children to share their own dinosaur knowledge and ask Ben any burning dinosaur questions. My three children are obsessed with dinosaurs. I mean obsessed! I don't ever recall learning about dinosaurs at school myself but it's a topic they cover in depth during reception year at my children's school. They can reel off the names and dinosaur facts that I've never heard of and I'm pretty sure they know all of the words to Jurassic Park. We have tickets and I think this is a unique opportunity for them to really further their knowledge and anything that is educational gets the thumbs up from me! I know that this a show they are all going to thoroughly enjoy and take a lot from and it's going to be a fantastic way for us to start half term. Did Dinosaurs eat their own families? Was every T-Rex a carnivore? Why did Allosaurus headbutt it's prey to death? These are just a few of the questions that will be answered during the 2 hour show (including interval). Tickets are available from £12.50 via the Tyne Theatre & Opera House website, in person at the Tyne Theatre & Opera House Box Office (check opening hours) or by calling 0844 249 1000. 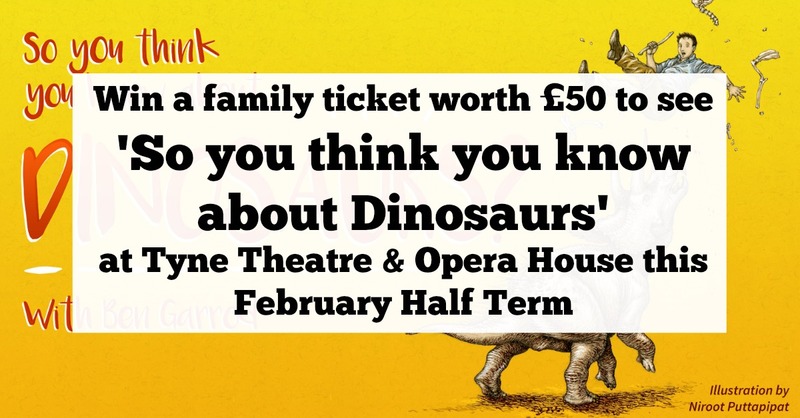 For your chance to win a family ticket (1 adult, 3 children or 2 adults, 2 children) to see 'So you think you are Dinosaurs' at Newcastle's Tyne Theatre & Opera House at 2pm on 20th February 2017, simply head over to this Facebook Post and leave a comment with your favourite dinosaur fact. One winner will be chosen at random from all valid entries. Terms & Conditions : To enter you must comment on this Facebook Post with a Dinosaur Fact. One entry per person. Giveaway closes at midnight on Sunday 5th February and a winner will be selected at random from all valid entries and notified via Facebook within 48 hours of the giveaway ending. There is no cash alternative. Refunds are not available. Prize is non-transferable. Prize is for one family ticket (valid for 2 adults, 2 children or 1 adult, 3 children) to see the performance. Travel and extras are not included. If you're a planner like me (yes I have just been making plans for Christmas - haha), you might like to get in early and check out Naomi's Wild & Scary Show which will be visiting Tyne Theatre and Opera House on Monday 17th April. 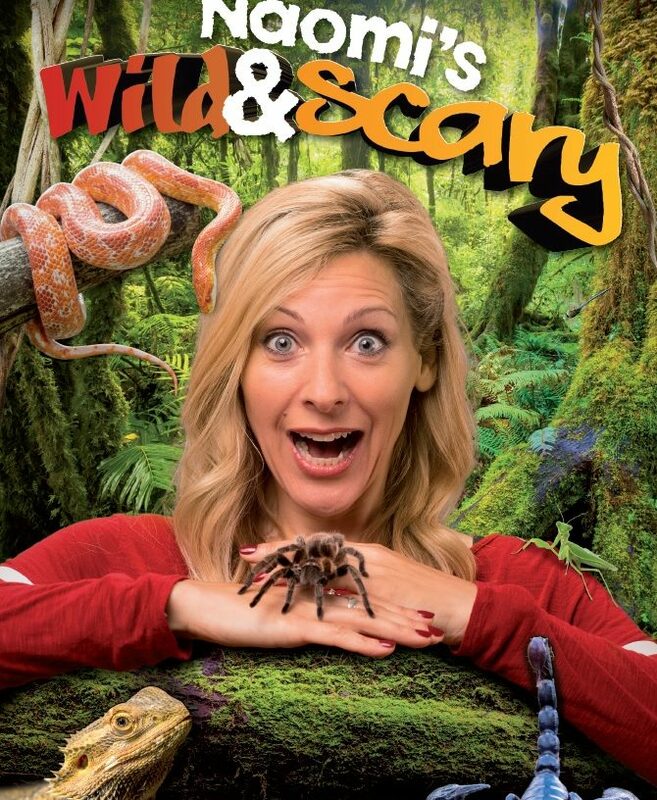 Children's TV Presenter Naomi Wilkinson will be joined on stage by 'Animal Mark' and some of his scariest creatures. I think tickets to this show will make a lovely alternative to Easter Eggs.